Primordial Ooze – A blog about technology, science, life, and boondogglery. Giovanni and I have been re-watching the Star Wars saga over the past week or two. We are watching the episodes in the “Preferred Order” which is: IV, V, III, VI. We’re skipping I and II since, while gorgeous films, are simply a chore to watch and don’t add much substance. Episodes I and II are something I may watch a while from now out of curiosity but not while G and I are focused on the actual story. The story being essentially Anakin Skywalker’s fall and eventual salvation. When Giovanni was young, probably 6 or 7, I remember watching Empire with him and studying his face during the big reveal. I’ll never forget his incredulous look. This time around he was the wiser, but still hung on ever word. I was also able to explain a bit about the mythology of Star Wars that I’ve learned over the years. That link was courtesy John or Martin Szinger from like 10 years ago if I recall. As an aside, I was also privy to studying Giovanni’s face the moment he figure out how to drive a swing by himself. That was another expression of wonder and excitement that I’ll never forget. Anyway, the “old” episodes really do hold up. While the special effects can’t compare to what we have today, they have a definitive high-quality to them. Meaning, while the methods employed were primitive by today’s standards, a lot of care and expertise was put to the task and the results were revolutionary for the time. The characters and dialogue in the old episodes were so very familiar to me and hearing them again brought a smile to my face. Ewan McGregor definitely saved Episode III. I loved every moment he was in the film and mostly dreaded every moment he was out. That said, there was some fun to be had with the scenes involving Yoda. Me and Giovanni had a laugh as the Jedi were getting slaughtered and they came to the scene where Yoda was to be assassinated. LOL. Nice try. Another note about the “new” episodes. It’s very interesting to note how our appetite for more sophisticated action sequences has raised over the years. For instance, the swordplay in the old episodes simply can’t compare to the newer episodes. This is a shame. Good choreography of swordplay was possible at the time, as demonstrated by hundreds of chinese kung-fu movies of the era, but the audience was mostly ignorant to this so it didn’t matter. We still have to watch Return of the Jedi but we haven’t had the time yet to sit down together and get it done. G and I are pretty excited about what Disney is going to do with Episode VII. I just finished the final draft of what was one of the largest projects I’ve ever worked on outside of business. The project was the annual yearbook for the pee-week tackle football league Antonio and Marco have been in for four years, The Long Island Broncos, aka The Seaford Broncos. Why was the project large? And I did the whole thing myself. At least the layout, photo organization, etc. I had some great help from the Broncos Board of directors, they did a lot of proofreading, related requirements from previous years, and helped me with soliciting photos, coach letters, etc. This is the first time I did something like this. Not just a big layout project, but a project for the community. It was very rewarding and I got a lot of exposure to the players, parents, and coaches for all of the age groups. Soliciting photos, sponsor logos and contact info, child appreciation dedications from the parents, etc. The first activity all happened by Dec 30 and the latter until a few days ago. To solicit photos, I created a web page that had instructions on how to submit photos and CAPS and had a collection of thumbnails for all photos submitted so far. I got the majority of photos via e-mail and few from pictures that I scanned. The system I used to lay out the book was provided by schoolannual.com, a company dedicated to the creation of yearbooks. Coming from a Pro/Adobe-based background, the flash-based web interface initially frightened me. I thought it would be buggy and have a dearth of features that I needed. I was pleasantly surprised that none of this was true. While the system lacked some basic things I would expect from a page layout tool, such as grouping and alignment functions, it excelled in other areas. First, the site was very responsive and stable. I never had a strange bug or error. The site worked as advertised and that was honestly the best feature! Stability, who would think? Second, they had very solid photo manipulation features. 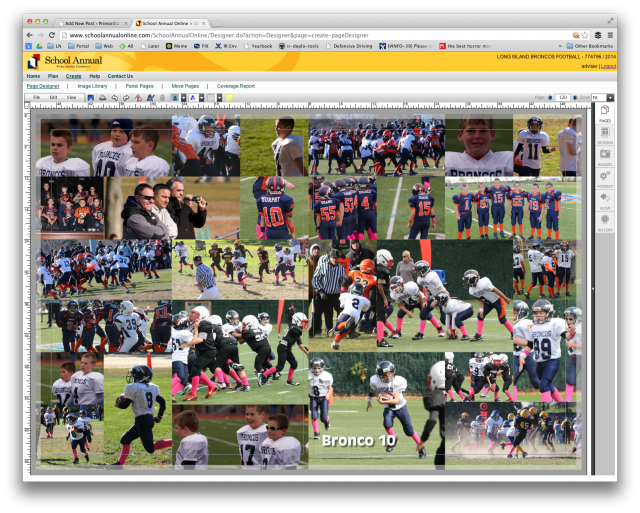 In terms of sizing an cropping photos, the interface was dead-simple and productive. I got around the alignment tools by making sure align-to-grid was turned on. So, without much effort, everything got aligned and spacing objects wasn’t a big deal. They also had a solid model for how your content reacted to the edges of the page. There were good snap functions to make sure you didn’t place a photo where it wouldn’t look like you may think it would look. 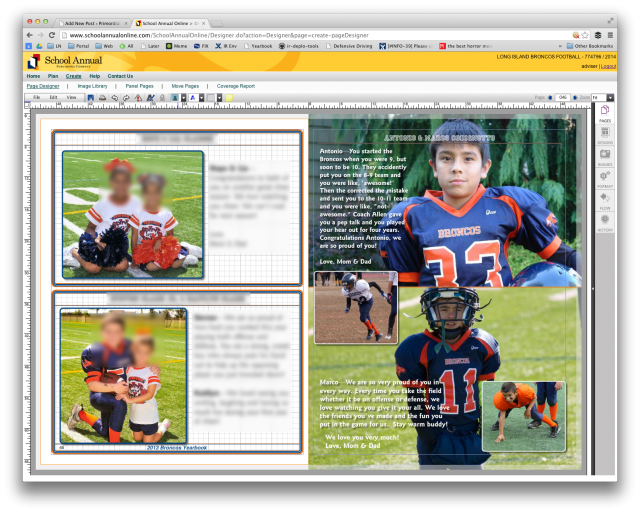 They seem to allow full-bleed layout of photos, too, but I won’t know how good that works until I get the book. Third, they had really good photo management and search functions. They made it easy to see which photos were used and which had yet to be used. That’s great when you’re trying to get every kid in a photo. Fourth, they had a nice PDF export facility. I needed this since I wold typically generate a PDF of a page and send it to the parent to make sure they liked the way their Child Appreciation Page (CAP) looked. This whole thing made me nervous because on the forms the parents submitted to me, they wrote notes like, “Please don’t spell my kids wrong again this year.” Jeepers! In the end, the project took me 4 weeks of light work as I gathered content and 5 or so weeks of pretty intense layout work where I was doing 2-3 hours a night, 5 nights a week. Well, the book hasn’t been submitted yet as I have minor corrections to make based on feedback from the board, but I should be able to submit the final draft this weekend. Next year, I have two ideas to make creation of the yearbook better. In years past, the yearbook has been done by an individual who did the whole thing himself like I did this year. After experiencing the amount of work involved, I can admit that it’s not sustainable to work like that indefinitely. The two ideas to make this a sustainable project even after I am gone are to a) recruit some of the broncos and cheerleaders to help with the book and have them sign on not only next year but also for the following year so they can mentor new volunteers. Or b) create an adult yearbook committee. And don’t forget c) which is both a and b! I was thinking of contacting our public library to see if I could get access to their computers for 1 hour a week from October until January so I could host a meeting with broncos and cheerleaders who wanted to learn how to tackle a project like this. Also, there are a lot of activities that would be best done earlier in the season. Electronic submission for everything would also be ideal. It’s error-prone and slow for me to manually type-in handwritten dedicates made my parents. So, my goal next year is to create a process and collective mind-share around the yearbook that can be persisted easily even without my direct involvement. This coming Sunday, Giovanni and his band Infinity² will be performing at K.J. Farrells in Bellmore again. They performed last year as part of Music Emporium’s band program. Last year, Giovanni had been playing for about a year. He’s now two years into guitar and he’s really starting to become comfortable with the instrument. I hear him play and I’m pretty amazed. As a parent, it’s great to see your child love learning a skill like guitar. Hey, I mean I’d be fine if my child wasn’t really accomplishing anything but was able to maintain good friendships and was essentially a happy child. It’s a bonus when you see them learning skills and basically growing. In any case, the last song on their setlist is Lynyrd Skynyrd’s Free Bird. Giovanni has some crazy solo work to do in the second half of the song but I’ve seen him practice it many times and as far as my layman ear’s can tell, he has it totally nailed. I can’t wait to see him perform with the rest of his band. Giovanni is doing well at Chaminade. One of the highlights of my night is when Giovanni comes up and asks me or Lisa to test him on material he’s studying for an upcoming test. We hold his notes and ask him questions and he just goes and gives us a lecture, describing what he knows. He does it like he’s telling us a story, a story he enjoys. Awesome. Antonio is full-on into PC gaming and he has a group of friends he’s on Skype with nightly. A few of them are from out of state, Utah and elsewhere. I screened his calls to make sure they were kids, of course. He makes videos and posts them up to YouTube. He’s active on twitter, promoting his videos, and he’s getting pretty good at Photoshop and Premiere. He watches Adobe tutorials and I’m pretty impressed with the skill set he’s learning. I suppose I shouldn’t be thrilled he’s constantly playing games with his friends, but again he’s happy and he talks to me so it’s all good. And I love how he’s getting really good at those professional-grade tools. I have a feeling those skills will come in very handy in the years ahead. Marco and Antonio are at the tail end of their regular basketball seasons, but we signed them up for more advanced post-season basketball. We’re hoping they get picked up by one of the travel teams, but I think they need more work. The place we have them at has excellent instructors and I expect them to get a lot better since they never really had this kind of advanced instruction. They love the sport and put a lot of effort into it. They’re also both heavily into Nike sneakers, too. Many of the kids are, even the ones that don’t play Basketball. It amazes me how Nike created such powerful brands around their footwear. These sneakers are as stylish as they are expensive. They cost $200 or more. It’s a shame they cost so much but make no mistake, they perform. 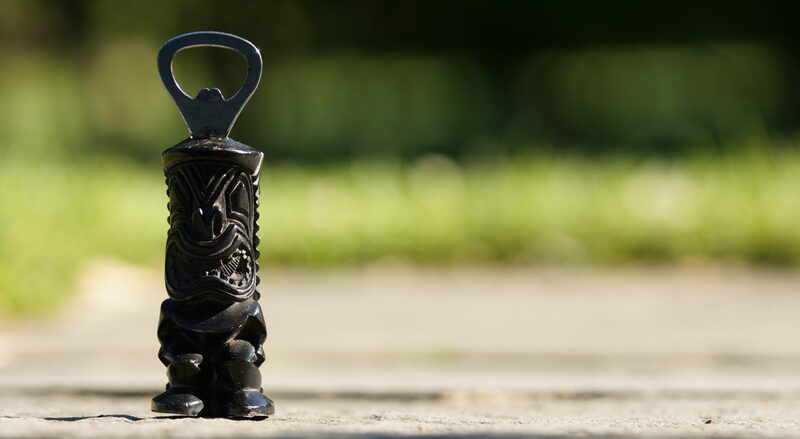 They are made really well and provide superior grip to anything else we’ve tried. I’ve seen it before my very eyes… kids slipping on sub-par floors and the kids with the good shoes have a firm grip on the ground, allowing them to break, turn, and accelerate as fast as their limbs will take them. Serafina is playing a lot of basketball too. I didn’t sign her up at the more advanced sports center, even though they have programs for 2nd graders. I mean, there is only so much financial burden we can take. However, she’s in C.Y.O. and P.A.L. and ;earning a lot. We will probably sign her up at the sports center this coming summer, though. It will be an excellent thing for her to do. They have camps, too, which is something we may look at. Serafina is also starting to draw every day. She has her little spot on our kitchen island and she watches Netflix TV shows with her headphones and draws for hours. I started teaching her formally how to draw and she’s loving the time with me. I’m not a great artist, but my mom and Grandfather were and I spent my childhood struggling to become really good. I got so-so, but gave it up for programming computers. I can’t wait to see how Sera develops with her drawing. Oh, interesting factoid. None of my kids watch TV. I mean the kind with commercials. They are the Netflix generation. Also, none of my kids have any interest in Facebook. Interesting, no?